Garage doors: (5) 12’ x14’ insulated raised, long panel roll-ups with lites, 14’ x 12’ sliding door. 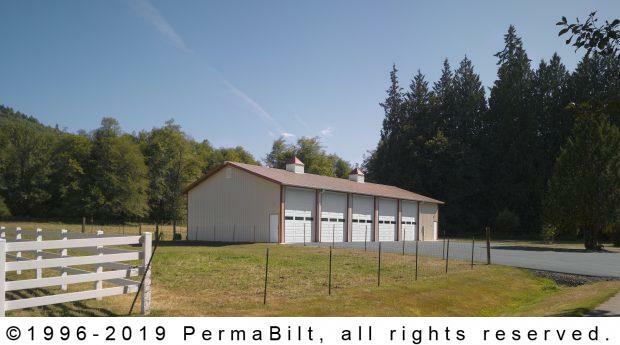 Our client in Olympia Washington required a big agricultural post frame pole building for his equipment storage and hay storage. 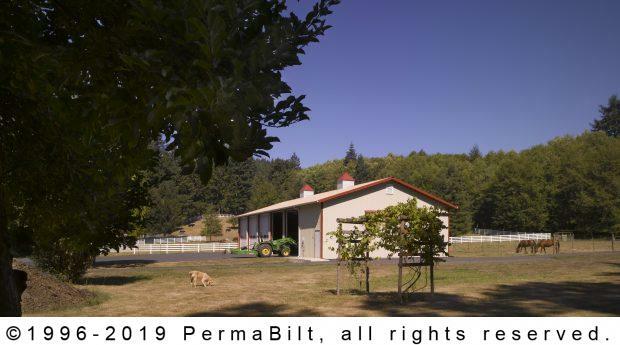 In meeting with PermaBilt’s building representative our client communicated that he was going to have a portion of the building’s construction done himself. He was going to be responsible for the concrete, gutters and a couple other accessories on the project. 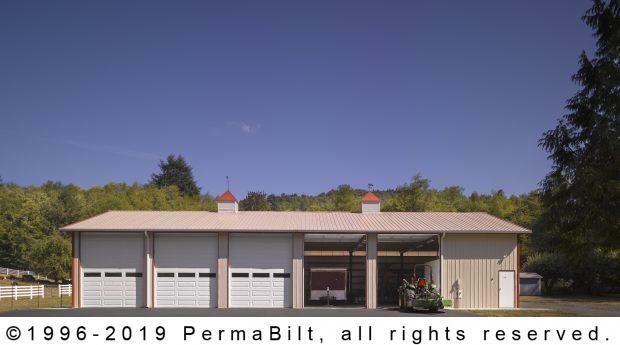 This is not a rare circumstance for PermaBilt as we are open to our client’s sharing a portion of certain construction requirements of our buildings. This building measures 40’ x 84’ x 15’. 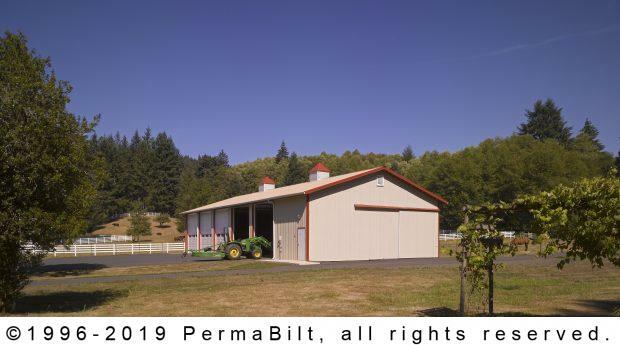 It has wall insulation as well as the standard roof insulation that comes standard in all PermaBilt post frame buildings. The (5) garage doors (12’ x 14’) are insulated raised, long panel with window lites. Also a 14’ x 12’ straight slider door is included. 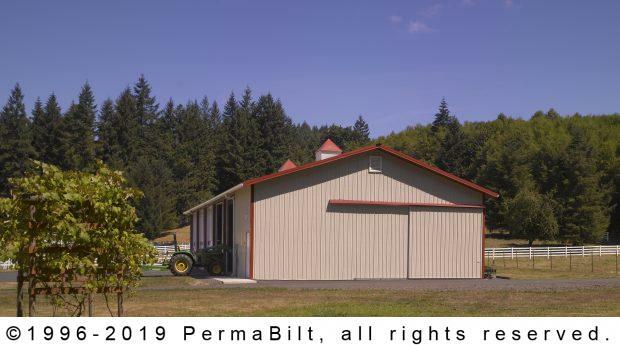 PermaBilt prides itself in the quality of craftsmanship that goes into its sliding doors. Each sliding door is constructed on site. Doors come standard with aluminum side rails and bottom guides, handles and latches. There is a 2’ x 84’ poly eave light on top of the back wall to let natural light in the building. (2) 48” x 48” cupolas with weathervanes are on top of the roof. 24” x 30” Gable vents are situated under both gables. When it was done, the customer had numerous people stop by and admire his new building and he was thrilled with the storage for his hay and equipment.